“She [the principal] said no, just like that, a straight, flat out no! I then asked her to put the discussion of girls’ school uniforms to the P&C, as it needed to be discussed there. Again, the principal simply refused to do this. They told me that I would have to put in a conscientious objection to the uniform, and then my children could wear whatever they wanted. I did this, and bought my girls plain pants, shorts and a shirt in the school colours. Missy got in touch with the Anti-Discrimination Board of NSW and explained the situation. “They rang me shortly after and said that it was a clear case of discrimination, and they advised me to take that information to the school. I did. 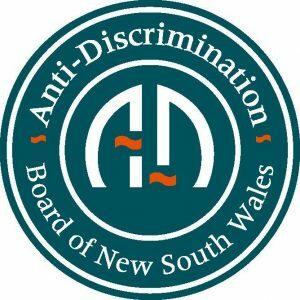 The Principal and the P&C were furious that I had taken it to the Anti-Discrimination Board of NSW as they felt I had gone too far and that I was sullying the school’s reputation. Months on, one of Missy’s daughter’s was tired of being picked on and had gone back to wearing the school dress. Missy went back to the Anti-Discrimination Board of NSW and lodged an official complaint. The Board put Missy in touch with PIAC (Public Interest Advocacy Centre) – a team of lawyers who do pro bono work for important social causes, who helped with filing the complaint. “At the initial mediation held by the Anti-Discrimination Board, I sat with my lawyer from PIAC [you DO NOT need a lawyer to go down the anti-discrimination path, but it’s nice to have one] and across the table were the Area Manager from the Department of Education and their lawyer. The mediator from the Board asked me to speak first as I had lodged the complaint. I read a pre-prepared statement outlining why the school’s uniform policy was discriminatory against girls. I finished speaking and the Area Manager was asked to respond. He stated that he believed I was correct, it was discrimination and the school would be ordered to change its uniform policy! The Education Department agreed that they would require the school to add shorts and pants for girls, and a gender neutral uniform option, to their uniform policy immediately. They also agreed to review their state wide policy and consider mandating choice of shorts and pants for girls. “Unfortunately, the school dragged their feet and made my life pretty miserable for a while. I was met with overt hostility by the principal and P&C members. The school took a further 6 months to make the final changes to the uniform that were required to meet the agreement decided on at mediation. But in the end they did meet the requirements (although not in the required time limit) and girls at that school now have the choice of shorts and pants as every day school wear, and all students have a gender neutral uniform option available (shorts and polo shirt). The process to get shorts and pants added for girls at this school was incredibly challenging but Missy persevered because it mattered to her girls and to other girls at the school. You can read Missy M’s full story here.